A time-saving solution for creating an organized environment, pockets charts are essential for classroom management. 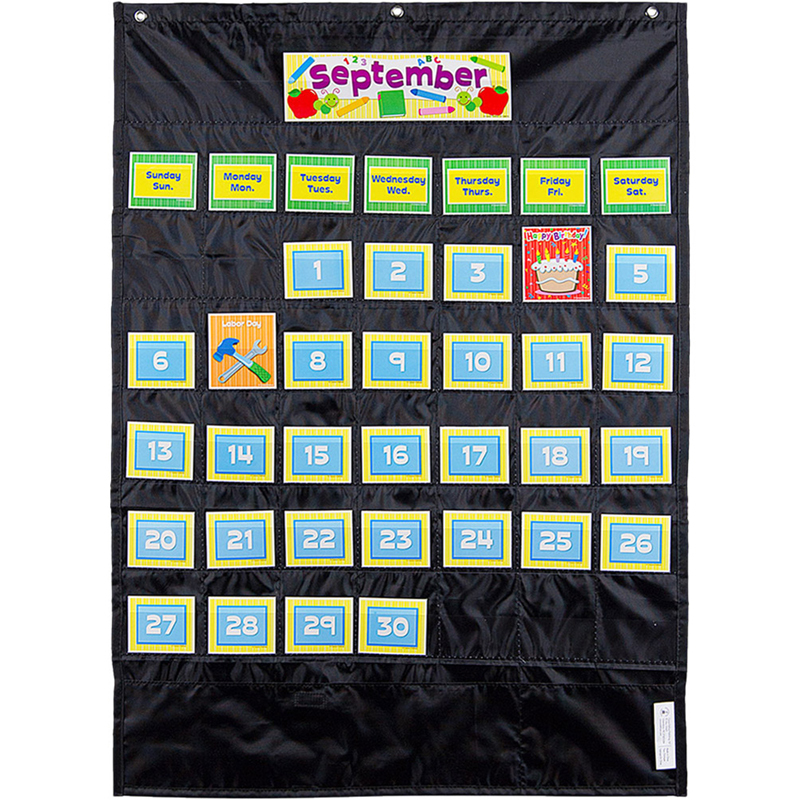 The Deluxe Calendar: Black Pocket Chart helps students learn about the days of the week and months of the year. The pocket chart measures 25" x 35" and features 43 clear pockets, 2 storage pockets, and 100 cards. The cards include days of the week, months of the year, calendar cover-ups, and holidays. Carson-Dellosa's pocket charts are a classroom essential to help organize, teach, and create a positive, hands-on learning community! They provide easy solutions for teachers' most complex tasks by helping create an orderly classroom environment. Pocket charts are made of flame-retardant material and durable construction. Sturdy grommets allow for easy hanging.